After a quick flight to Bangkok, another few hours wasted in the airport, then another brief flight we landed in Phuket. 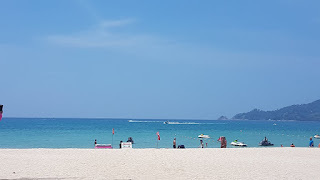 As we had decided quite late in the day to come to South Thailand we hadn’t done as much homework about locations as other countries but we thought we’d spend a week in Phuket and then plan everything from there. It would appear that’s it’s not that cheap in Phuket in March but the cheapest place was Patong, so that’s where we headed, we’d booked a hotel that was a fair distance from the beach and party places called Chusri Hotel which had the comfort level we’d decided we needed (aircon) at a slightly inflated nightly price of £25 inc breakfast. The room was big, with a full-sized fridge, huge bathroom and a small balcony, breakfast everyday was eggs, sausage, bacon with fruit and was nice, the staff however were as miserable as sin. It became a mission for me to get one of the girls to smile by the end of the week, I managed it, but I only got one smile the whole time we were there. Welcome to the land of smiles! 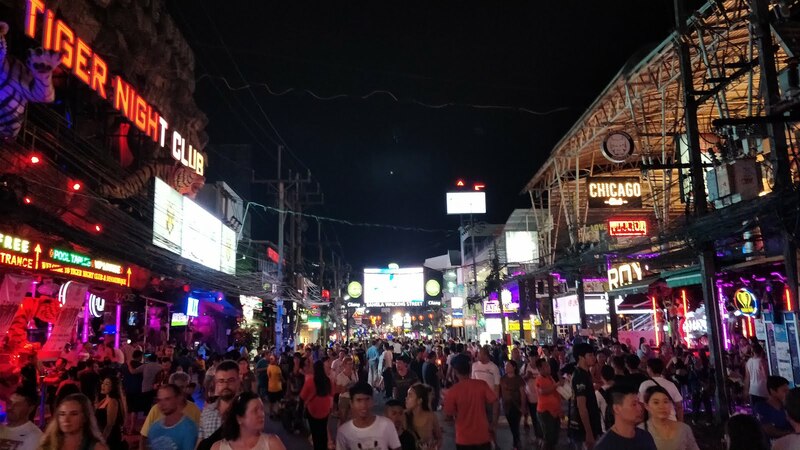 Patong is a crazy place built mainly, it would seem, for groups of youngsters with money to burn, older men with money to burn and people that like Ping Pong, I must admit after coming from gentle, friendly, cheap Myanmar this was a culture shock. 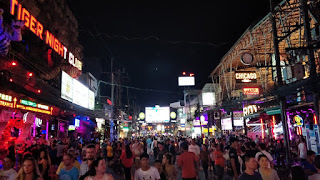 Bangla road is the main hub of Patong Beach, it’s only a few hundred metres long but it’s lined with bars, in the evening it’s closed to cars and the go-go girls come out to do their dead eyed pole dances and you can’t walk more than 5 steps before someone thrusts a ping pong show menu in your face. 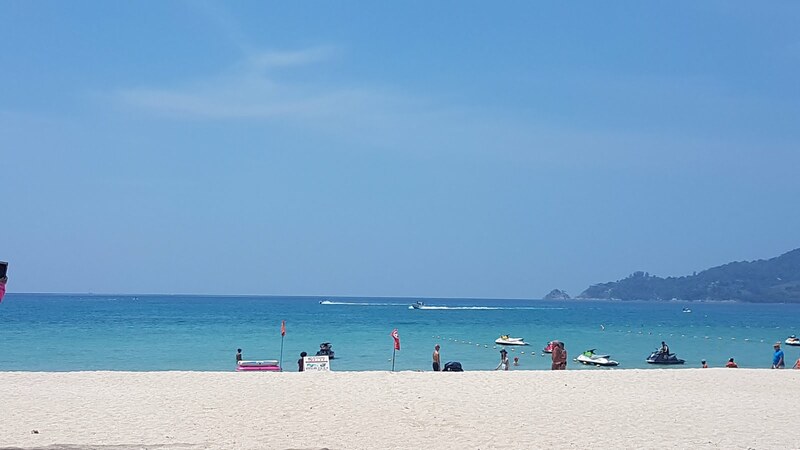 But setting aside the sleaze of Bangla road you have got beautiful white sandy beaches, clear water, yummy street food, sunsets and happy, friendly locals only a short distance away. The taxis and tuk tuks in Phuket are run rather effectively by what is joking called the tuk tuk mafia, which means they control the prices for all local travel and are the only means of getting from beach to beach. 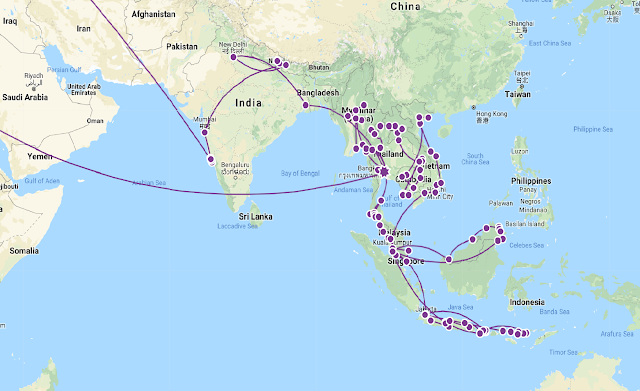 I guess the prices aren’t high when you compare them to the UK but when compared with the rest of Thailand, they are sky high and it is an often complained about traveling topic on forums. As they were so expensive we didn’t venture out of Patong to other beaches, which was a shame but we had everything we needed locally so it just wasn’t worth it. 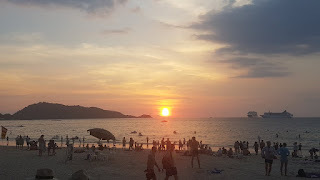 The week drifted by with beach visits, shopping trips, hunting down draft beer happy hours, eating gorgeous street food, watching thunder storms from our balcony, sunset on the beach and generally being quite lazy…. which is just what we wanted. 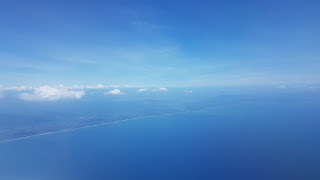 Staying here a week also meant Paul finally got his new Revolut card delivered and we booked the next few weeks of travel around south Thailand……next stop Koh Pha Ngan.